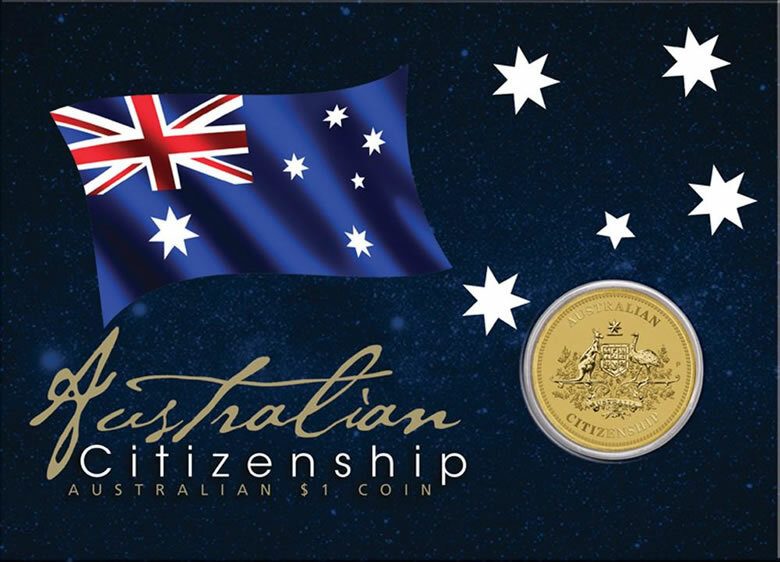 Marking a fifth straight annual issue, the Perth Mint has released its 2014 Australian Citizenship $1 Coin. "Taking the ‘Pledge of Commitment’ and receiving Australian Citizenship is a proud and often moving moment for many new Australians," describes a release from the Perth Mint. 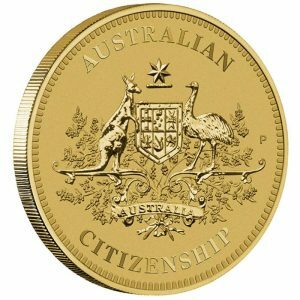 "To help celebrate this joyful and important milestone, the Perth Mint has issued this uncirculated Australian Citizenship $1 coin." This release is struck from aluminum bronze and is featured in uncirculated quality. No mintage cap is in place. Offered as a symbol of the nation, the reverse of the 2014 Australian Citizenship $1 Coin features the Australian Commonwealth Coat of Arms with major elements that consists of the Badges of the six States of the Commonwealth arranged on a shield, a seven-pointed gold star, a Kangaroo proper to the left and an Emu proper to the right. Many believe these two creatures are included since they can only move forward. "AUSTRALIAN CITIZENSHIP" is inscribed around the design. Obverses bear the Ian Rank-Broadley effigy of Queen Elizabeth II with inscriptions reading "ELIZABETH II," "AUSTRALIA," "2014" and the legal tender face value of "1 DOLLAR." These coins are struck as legal tender of Australia under the Australian Currency Act of 1965. Weighing 13.00 grams, each one has a diameter of 30.60 mm and a thickness of 3.10 mm. Those interested in obtaining a 2014 Australian Citizenship $1 Coin may do so directly from the Perth Mint. Pricing is listed as AUS $13.50. Each is attached to a colored presentation card which includes a Certificate of Authenticity and features a fold-out stand for display purposes. Orders are accepted via the Perth Mint website at www.perthmint.com.au.